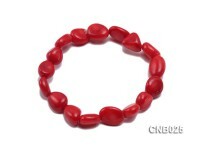 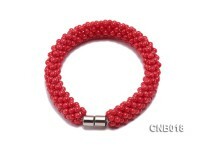 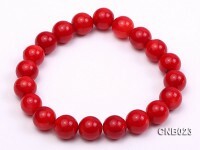 Classic 11mm red round coral beads bracelet for sale. 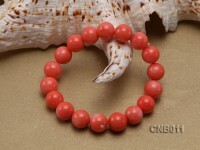 The coral bracelet is 7.5 inches in length and decorated with delicate yarn tassel. 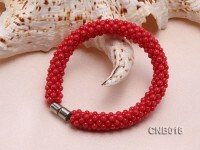 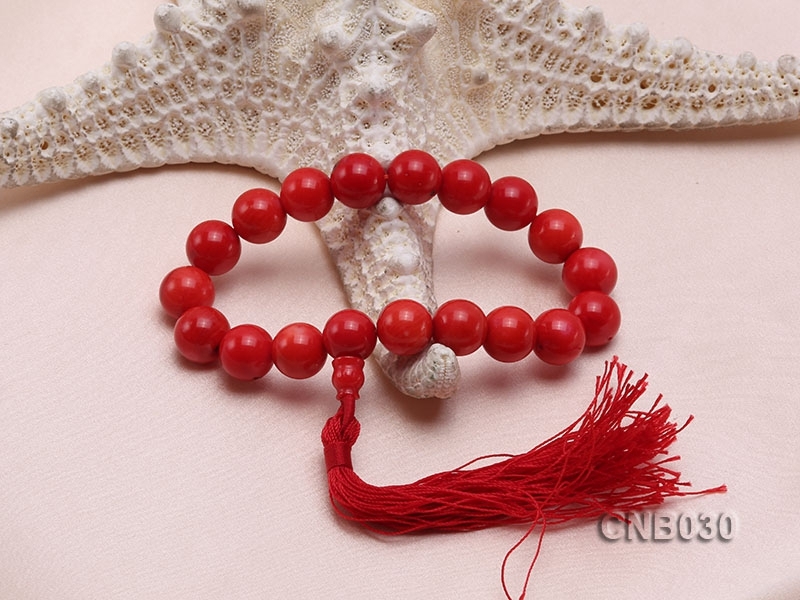 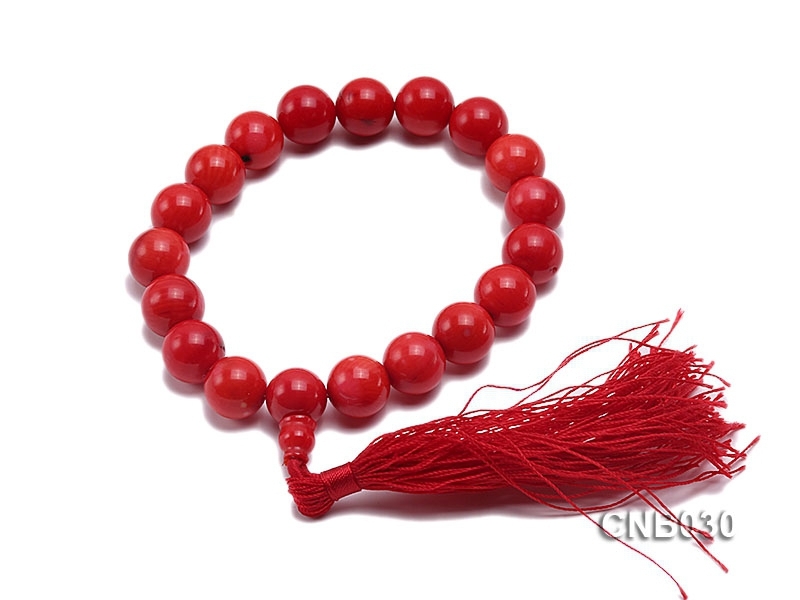 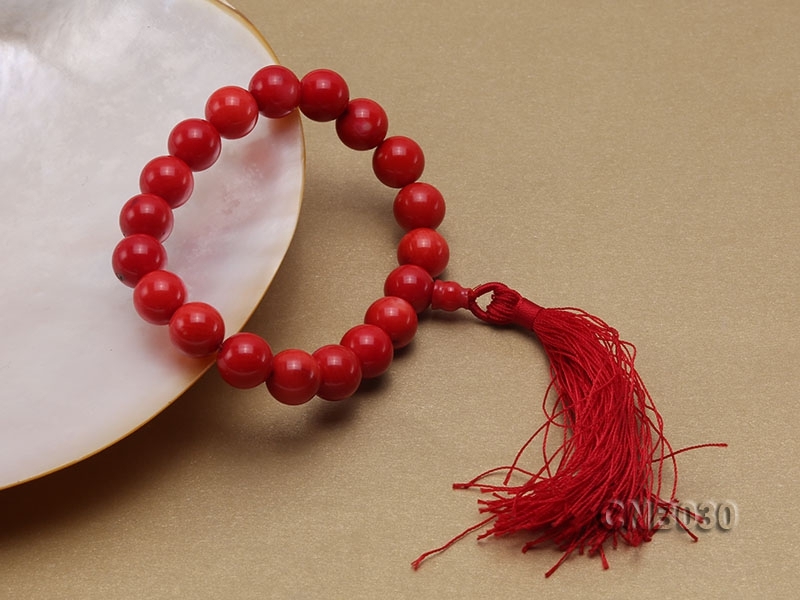 The idea of using tassel in this coral bracelet is to reveal the mystery as well as flexibility of women. 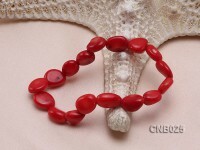 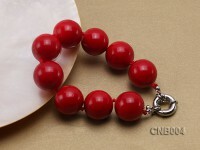 This kind of coral bracelet is ideal for you to view and admire at leisure. 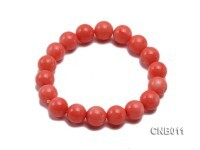 Coral is a very precious kind of gemstone from deep sea and is much helpful to fix internal secretion problems during long-term wear so as to keep fresh complexion.